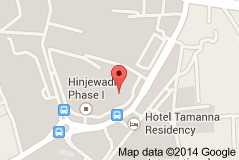 Hotel Formule 1 Hinjewadi Pune boasts of assured rest for all its guests. A part of the Accor Hotels group, Hotel Formule 1 is located in Hinjewadi in Pune, minutes away from the Balewadi Sports complex and Sahara Cricket Stadium. It is also in the IT and business hub of the city and mere 5 km away from the Mumbai Pune Expressway and a perfect location of stay for business travellers, students and sports groups. Hotel services provided at this centrally Air Conditioned Hotel are complimentary Wi-Fi, refreshing breakfast, a fully air-conditioned room, flat screen television with multi channels, 24/7 vending machines to take care of all your needs whilst at the stay at the hotel. The outdoor seating area is perfect for unwinding after a long day and the gaming zone provides ample thrills to its guests. Food and drinks are available at the outsourced Cafe which is open 24*7. There are 104 rooms at this hotel, each featuring an access control key and tested for fire safety measures. The rooms are cozy and feature a flat screen television airing several national and international channels, a work table, open ward robe, bed side reading lights, bathing towels, soap and soap dispenser and a LED shower in rest rooms. The tariff for a night is Rs. 2640 for a night inclusive of taxes, making it an economically viable option for all travellers. The Hotel Formule 1 Hinjewadi Pune is truly a place for a quick getaway, or some gaming action, as well as a lucrative staying option for business travelers and corporate guests.